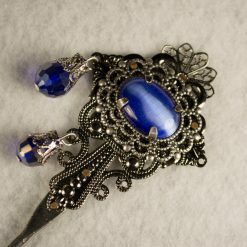 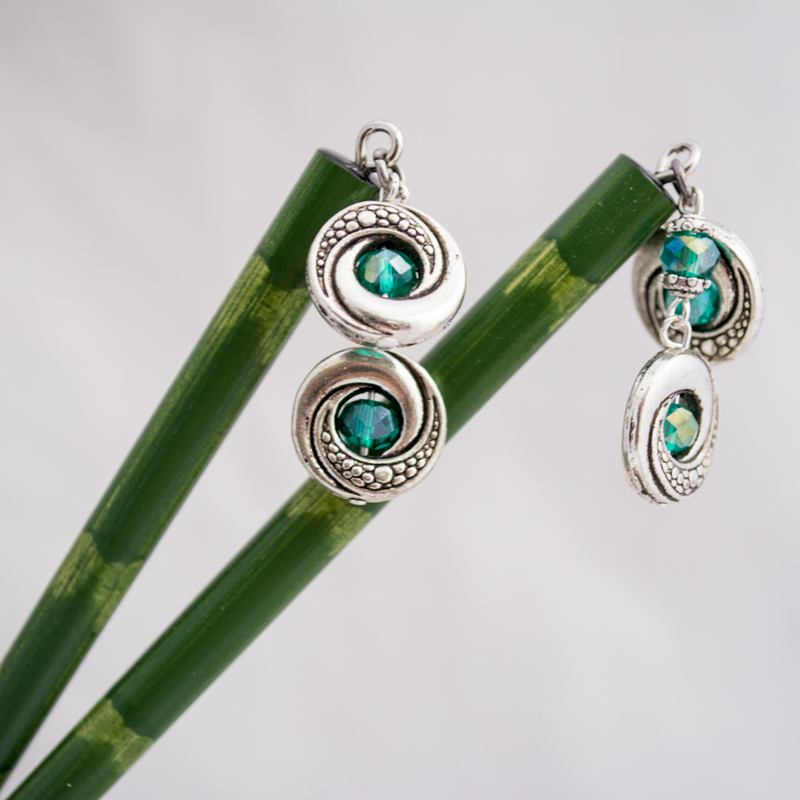 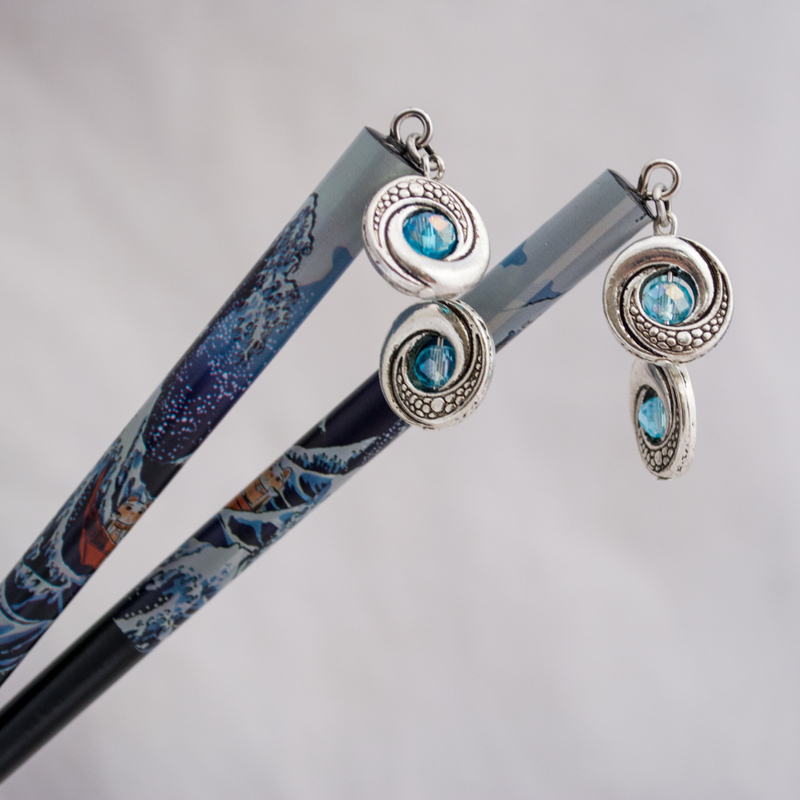 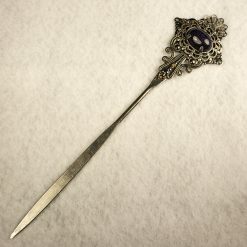 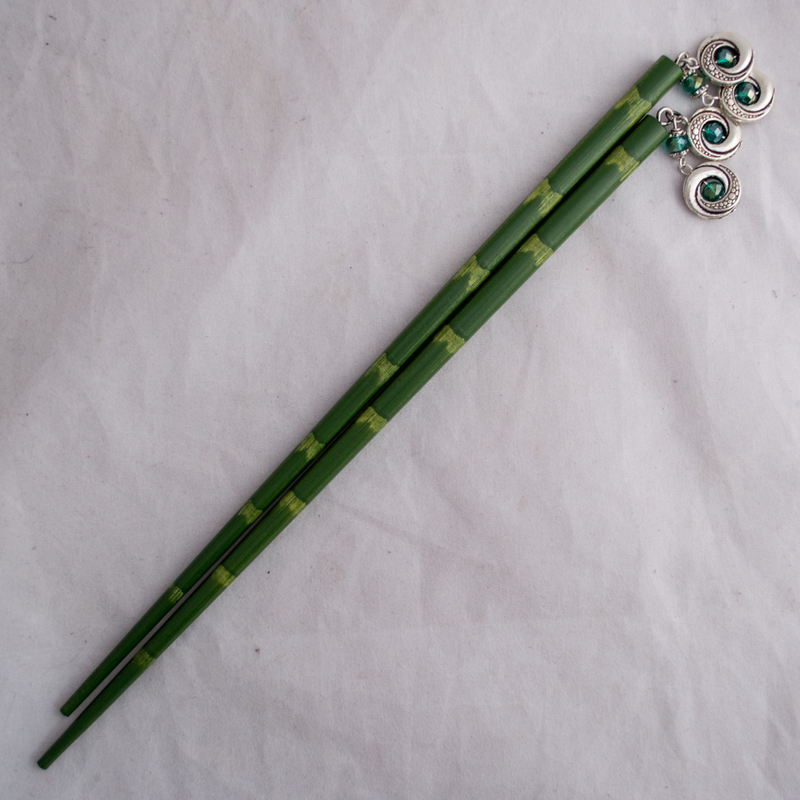 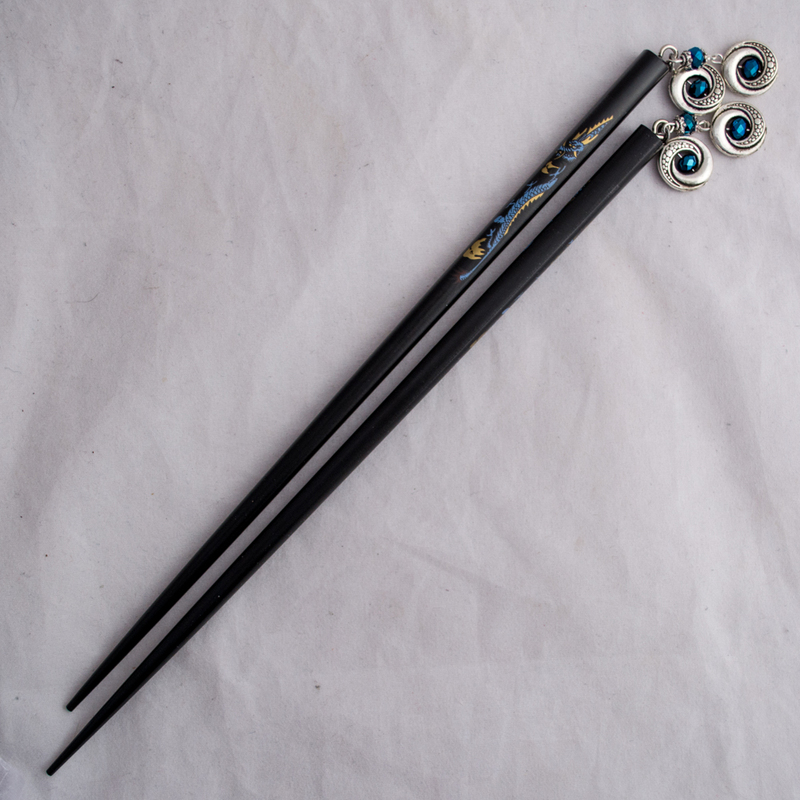 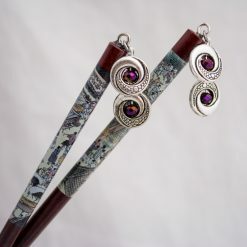 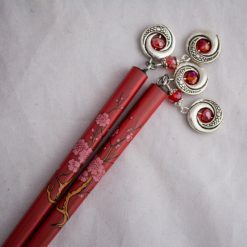 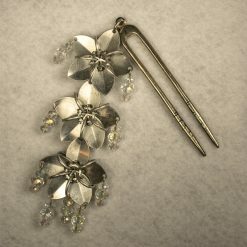 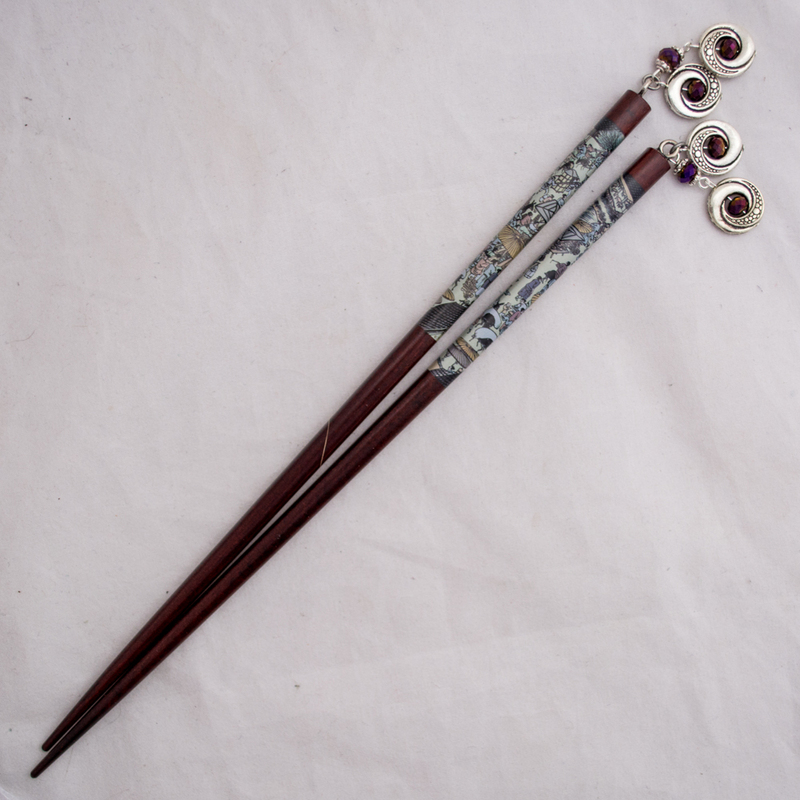 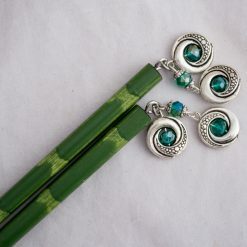 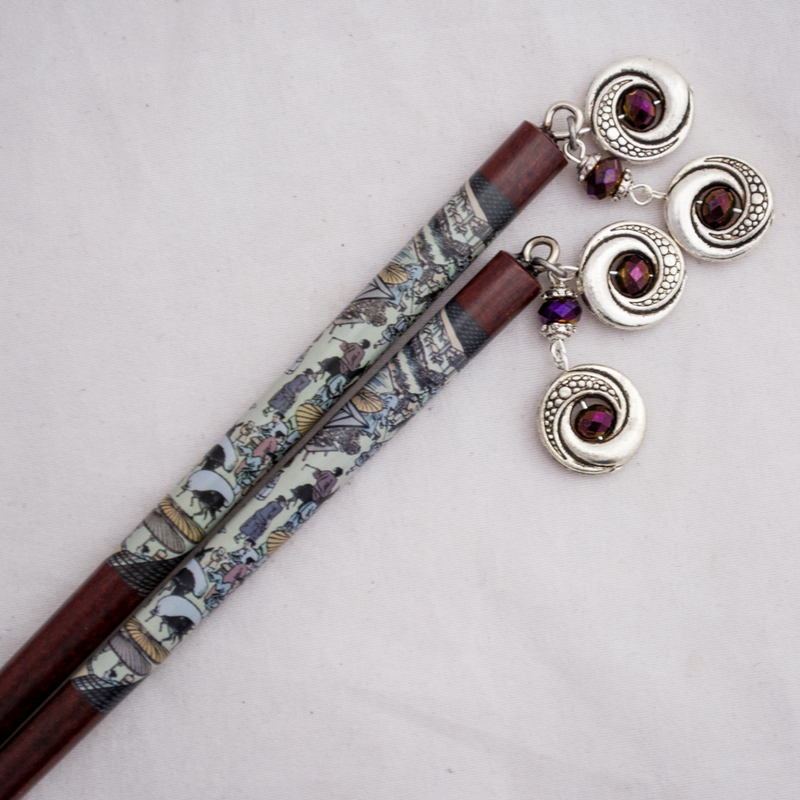 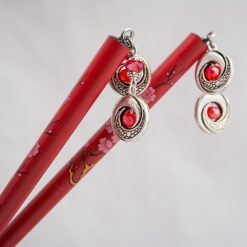 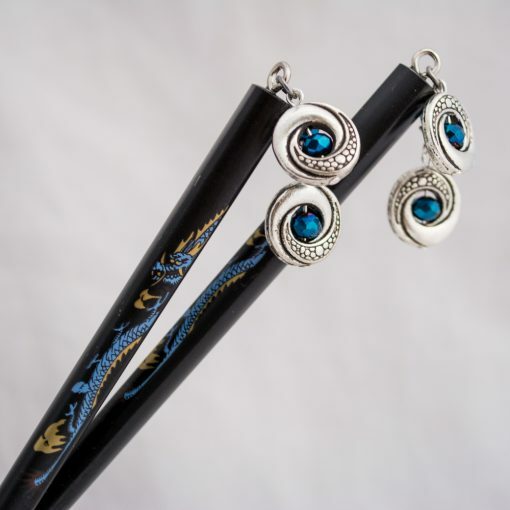 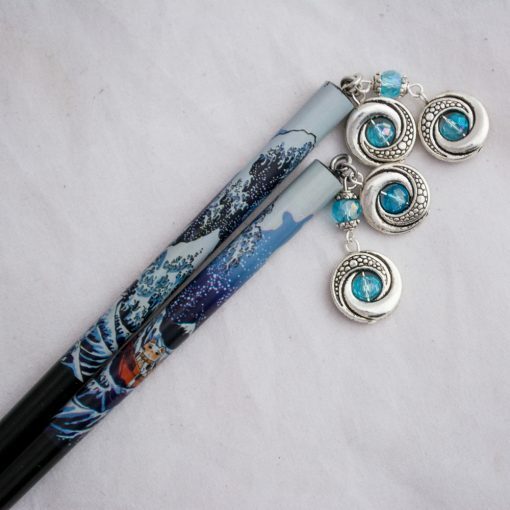 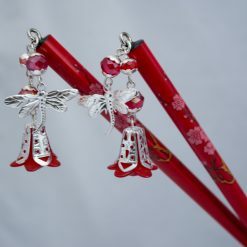 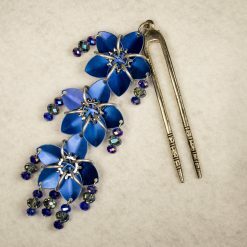 Zinc alloy silver charms and sparkling glass beads on sturdy wooden hair sticks. 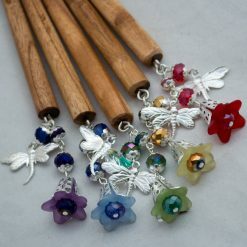 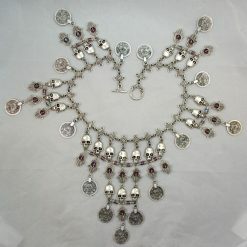 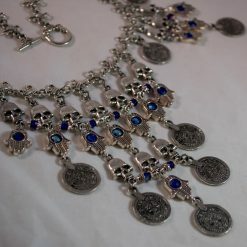 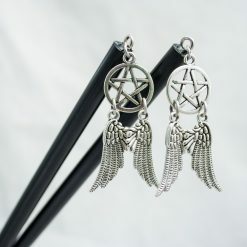 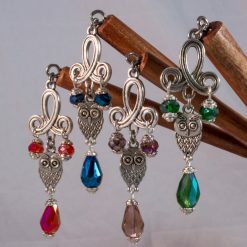 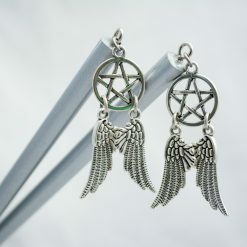 Each dangle is about 5cm (almost 2″) long from top to bottom. The sticks are 24 grams a pair (or about the weight of four nickels) and are each 9″/23cm long. These particular sticks hold up well to heavier or curly hair, and have proven long enough to hold hair that’s past waist length. They’ll work for people with finer or shorter hair too, though–just as long as you have enough for a twisty bun! The sticks are also sealed, so you can wear them in wet hair without worries.